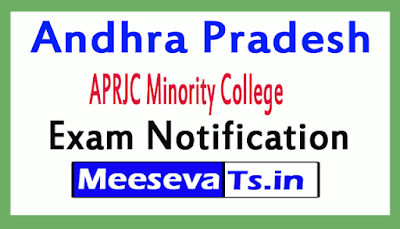 APRJC Minority College Notification 2019.Apply Online Andhra Pradesh Residential Jr Colleges Admission to minority students (boys & girls) before May 15 @ aprs.cgg.gov.in. 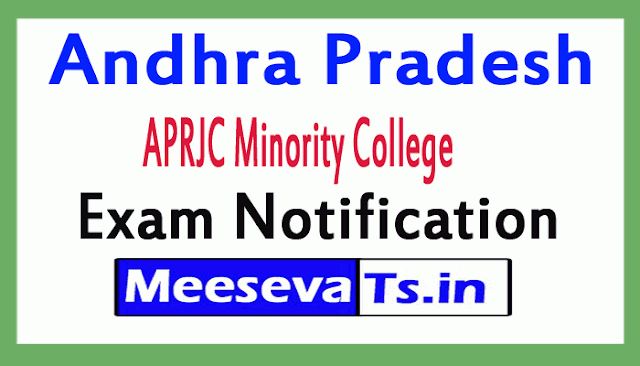 Andhra Pradesh Residential Educational Institutions Society published an alert and welcoming online application from the 10th / SSC adopted students for inclusion in the MPC / BiPC / CEC in both Urdu & English Medium. The deadline for submission of the online application is 15 May 2019. Currently, APREI Society manages 03 AP Residential Junior Colleges for minorities. Candidate must be a resident of India and must have studied only in Andhra Pradesh. If the qualification test in the first attempt has existed only in March / April 2019, Candidates who have previously entered are not eligible and are not applicable. Candidate must secure a minimum GPA of 5 in S.S.C or equivalent qualifying examination and GPA of 4 in English for all candidates. Interested candidates apply online on the official website aprs.cgg.gov.in before 15 May 2019 (11:59 PM). The Candidate, after meeting the admission criteria for submitting the application via online, pays a fee of Rs.30.00 from 06-05-2019 (after 16.00) to 15.05.2019 for the submission of the application via Online. SELECTION OF STUDENTS: The selection of students is based on the merit in SSC March 2019.